Many thanks for the amazing hospitality, the villa is absolutely fabulous. Views just outstanding! We were made so welcome by K.Nop & the staff. 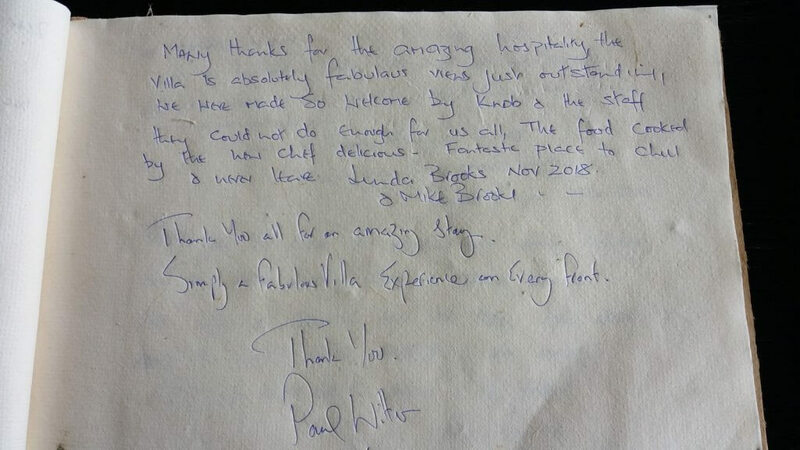 They couldn’t do enough for us all, the food cooked by the chef delicious – Fantastic place to chill & never leave. Thank you all for an amazing staff. Simply & fabulous Villa Experience on Every Front. The perfect location, with the best staff for a birthday party with some special friends. Spectacular views, amazing hospitality in ever comfy accommodation! Love to have stayed longer! Thank you so much for making our family holiday and make my 40th birthday such a special occasion. 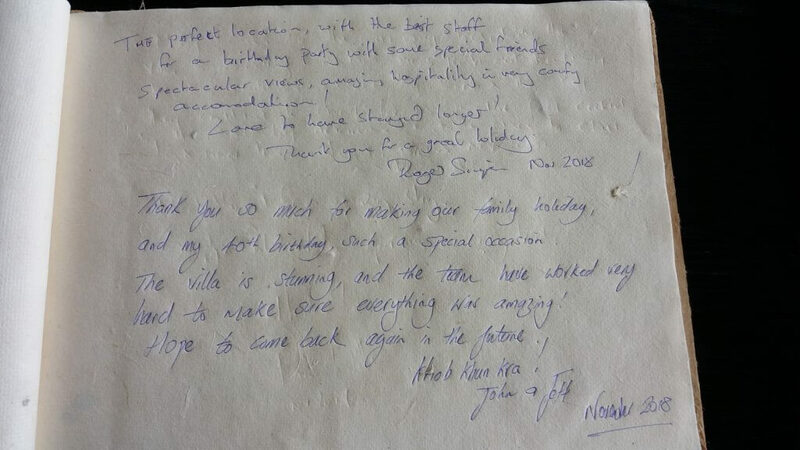 The villa is stunning, and the team have worked very hard to make sure everything was amazing! Hope to come back again in the future!